"What is the powerhouse of the cell?" 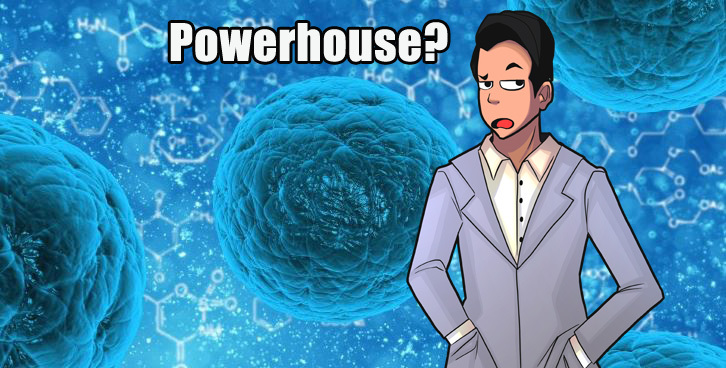 Asking this kind of question seems normal in Biology class, where one can expect an almost programmed response - "The Mitochondria is the powerhouse of the cell." The cytoplasm, nucleus, and mitochondria, important terms taught within the academe's four walls, are learned by our youth to strengthen their understanding on the involved topic. It is, after all, what their parents paid for - an education. Looking at a typical classroom setting, seasoned professionals would talk in front of a room full of eager learners, imparting their knowledge and experience whilst students imbibe as much information as possible to their memory. These include established theoretical methods used in analysis and problem solving. There are even facilities where activities that apply what is learned - laboratories for STEM - augment the learning process. However, the flow pivots on information and analytical methods already present. By and large, how well-educated the student is becomes dependent on the academe's ability to relay information and analytical methods effectively. Perhaps this matter could never be arguable 25 years ago, before the advent of the internet. Being an ubiquitous resource of almost unlimited information with varying degrees of authenticity, the world wide web has re-shaped society to its core with education not being an exception. Consequently, information and analytical methods that come from the academe can be learned solely by the student with an internet search engine. Typing isn't a tedious and time-consuming task (like going to the library and skimming over index cards) and with a good internet connection, figuring out the powerhouse of the cell will take the student less than a second or two. "Can a cell survive with two mitochondria?" The student knows beforehand what a mitochondria is, and will start building up his/her own analytical methods toward an answer if the question is followed by "Why?" or "Why not?". It ignites a fire or a thirst for learning, where curiosity becomes the driver of new ideas. It spurs critical thinking from both the teacher and student too, because the teacher has to cook up ways on how to bring out the analytical part of the topic involved. Due to the internet, the task of imparting information becomes redundant. The student has the information, so why not focus on the thinking process? I'm not saying that schools aren't doing anything to enhance critical thinking, it's just that the system gravitates more on information. If education leaned more on analysis, classes would be comprised 80% or more of student participation. During one's formative years, sharpening critical thinking skills will increase the individual's flexibility in handling a variety of situations alien from what mayhap have been taught in school. Taking the example above, if the student was an aspiring nurse, he/she may be able to understand or handle cancer cases better. The only challenge to the academe is how discussions, activities and tests will be made conformable to such a philosophy of teaching. However, the benefits will certainly pay off, with learning efficiency optimized for the student.